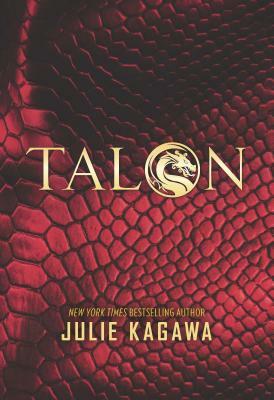 In New York Times bestselling author Julie Kagawa's groundbreaking modern fantasy series, dragons walk among us in human form.THE DRAGONS OF TALON: Once hunted nearly to extinction, they are now poised to take over the world. THE ORDER OF ST. GEORGE: The legendary dragonslayers will stop at nothing to wipe dragons from the face of the earth. These mortal enemies are locked in secret and deadly combat, with humanity none the wiser.To take her rightful place in the Talon organization, young dragon Ember Hill must prove she can hide her true nature and blend in with humans. Her delight at the prospect of a summer of "normal" teen experiences is short-lived, however, once she discovers that she's also expected to train for her destined career in Talon. But a chance meeting with a rogue dragon will soon challenge everything Ember has been taught. As Ember struggles to accept her future, St. George soldier Garret Xavier Sebastian is tasked with hunting her down. But when faced with Ember's bravery, confidence and all-too-human desires, Garret begins to question everything the Order has ingrained in him--and what he might be willing to give up to uncover the truth about dragons.Don't miss the first book in Julie Kagawa's highly anticipated new series, SHADOW OF THE FOX, AVAILABLE OCTOBER 2, 2018"Kagawa's storytelling elevates this novel within the crowded field of fantasy romance."